Since its grand release, the OnePlus 3 has been a real flagship killer by all means. The handset offers almost every feature the mobile lovers love to have in their mobile and that’s too in much lesser price than Apple or Samsung selling their flagship devices. A few days ago, the Chinese company unveiled a brand new smartphone again, OnePlus 3T and that’s too showing enormous promise to be a grand hit among the fans. Now the tech lovers are eagerly waiting for the next installment of this coveted smartphone series, the OnePlus 4 to release. So in this one stop article, we have discussed anything and everything we need to know about the forthcoming OnePlus 4. Although it is very hard to predict the exact release date of OnePlus 4 this early, all we can do is to notice the release date of the previous models of the same series. The original OnePlus has first sawed the day light on 23rd April 2014. The next iteration, OnePlus 2 was launched on 28th July 2015 and the third installment, OnePlus 3 was unveiled on 14th June 2016. The latest version of this series, the OnePlus 3T hit the market shelves on 22nd November 2016. 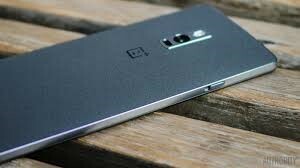 So going by the trend, we can predict that the much-anticipated OnePlus 4 will make its debut in the mid of half of 2017, most like in the months of May or June. The OnePlus 4 is most likely to flaunt a 5.3-inch display with Quad HD pixel resolution. Many reports suggest that the phone will come in a glass-made uni-body. Remember, Samsung and Google have already launched their respective flagship devices, Galaxy S7 and Pixel, glass made. This is another reason why One Plus is making the coming ‘’flagship killer” with glass. Moreover, the OnePlus is also expected to sport a dual camera setup. As the OnePlus 3T offers its users 16-megapixel camera on both rear and front-end, we can safely assume that OnePlus 4 will come with the same or higher camera setup. Under the hood, OnePlus 4 would most likely to feature the brand new Qualcomm Snapdragon 835 processor along with 8GB RAM and 128GB or phone space. The latest model, OnePlus 3T is powered by a 3400mAh battery. But the coming iteration is most likely to feature a 4000mAh battery accompanied with the Quick Charge 4.0 charging method, the best and the latest method available till date. There is no doubt that OnePlus 4 will run on the latest Android Nougat 7.0 OS with the option to update later to the next versions. The upcoming wonder device may sport Iris Scanner as security option. Plus 3T comes with a price tag of Rs. 34,999 in India. So there is no chance that the upcoming model, the OnePlus 4 will cost less. Our guess is the phone will cost the tech lovers Rs.39,999 at least.